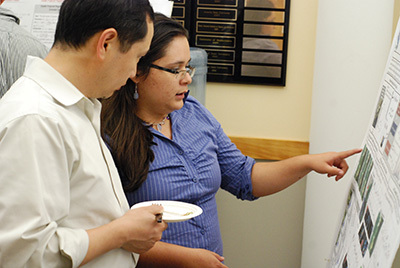 The Institute for Mathematics and its Applications connects scientists, engineers, and mathematicians in order to address scientific and technological challenges in a collaborative, engaging environment, developing transformative, new mathematics and exploring its applications, while training the next generation of researchers and educators. The Board of Governors is the principal governing body of the IMA, consisting of distinguished members from academia, industry, and government laboratories. The Community Relations Committee is composed of individuals who are strong supporters of the IMA's mission. Its role is to advocate for and articulate the value of the IMA to society. The directory provides contact information for staff, postdocs, and current visitors. The IMA strives to increase diversity and the involvement of scientists from traditionally underrepresented groups with IMA programs at all levels. With a history dating back to 1982, the Institute for Mathematics and its Applications (IMA) is an NSF-funded visitors’ institute that has grown to become among the most influential math institutes in the world. The IMA Prize in Mathematics and its Applications is awarded annually to a mathematical scientist who received his/her Ph.D. degree within 10 years of the nomination year. Members of the IMA's Participating Organizations receive direct benefits, including the opportunity to participate in a number of ways. Find stories about and related to the IMA in the press room. Stay connected to the IMA by subscribing to receive our quarterly e-newsletter, weekly schedule of events, or IMA Data Science Lab announcements.